Upcoming presentation! 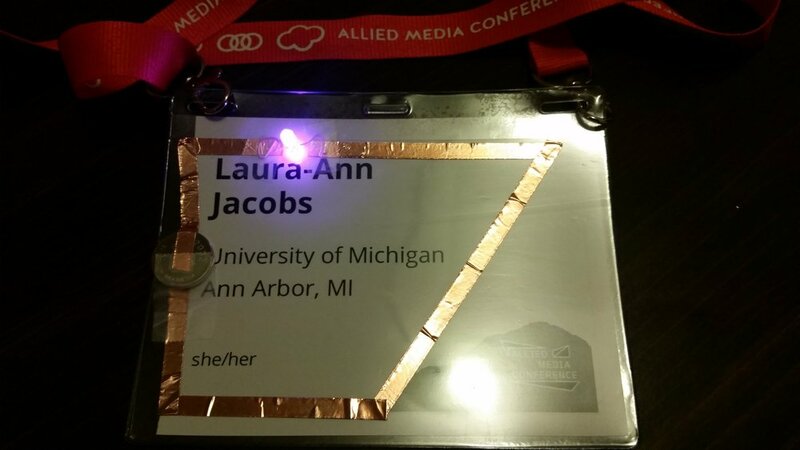 I will be presenting with Dr. Patricia Garcia, Ashley Easley, Z Mahmood, and Jennifer Mann (Ypsilanti District Library) at the Allied Media Conference in Detroit, Michigan on June 16. The conference will be June 15-18 at Wayne State University. We will be presenting our work with Expressive Electronics as a part of the Allied Media Conference's Radical Libraries / Archives / and Museums track: In this session we will explore how libraries can celebrate girls' intersectional identities and promote computational thinking skills through the use of low-cost, expressive electronics activities. 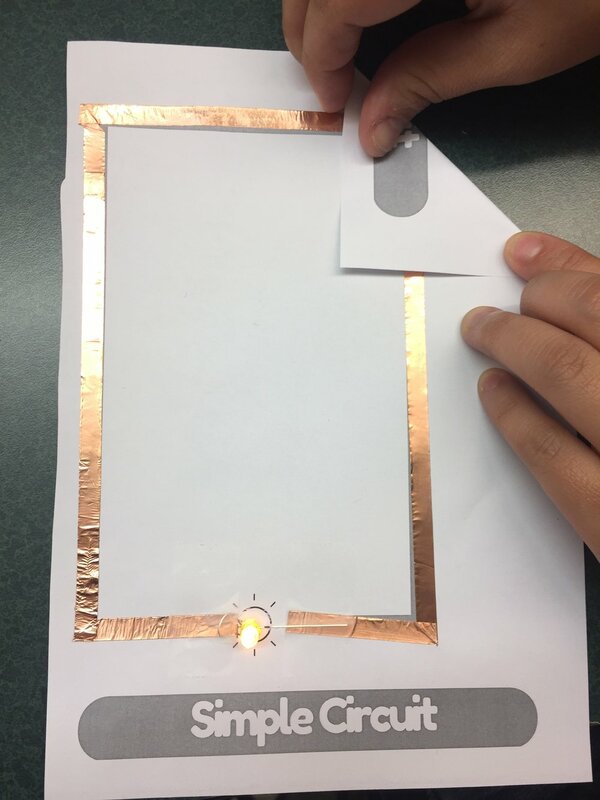 Participants will create an expressive work using paper electronics and learn about a curriculum co-developed by librarians from Ypsilanti District Library (MI), Imperial County Free Library (CA), Tempe Public Library (AZ) and researchers from the University of Michigan’s School of Information. Proposal funded! "Local Hawaiian Counterstories" is funded by the University of Michigan Center for World Performance Studies! 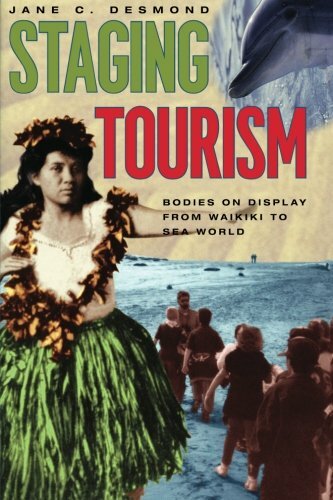 In her work Staging tourism: Bodies on display from Waikiki to Sea World, Jane Desmond (1999) explores Hawaii as a “destination image” (p. 12); a place with an exotic and iconic image perpetuated through commodification and mass media (mis)representation. She juxtaposes two seemingly similar but distinctly different terms: Native Hawaiian and Hawaiian native. The former refers to “those of indigenous ancestry” and the latter refers to “the Euro-American imagery about the indigenous islanders” (p. 5). According to Desmond, this exoticised and commodified destination image of Hawaiian native culture eclipses authentic indigenous Native Hawaiian identity in the Hawaii tourism industry. Because of this eclipsing and commodified destination image, Hawaiian culture appears to Euro-American tourists as unchanged by modernity and exists for tourists as primitive paradise and a place of escape. Despite what tourists may perceive, Hawaii has changed. And despite the power of this destination image, Hawaii will continue to change. Desmond’s (1999) two categories of Native Hawaiian and Hawaiian native culture help to distinguish between an indigenous ethnic identity and how that ethnic identity may be essentialized and performed for outsiders. However, Desmond’s two categories do not necessarily capture the diversity of cultural experience in Hawaii today. In this project, I will consider an additional identity: local Hawaiian. By this term I mean individuals who live permanently in Hawaii but who may or may not identify as Native Hawaiian. This term reflects a cultural identity rather than a racial or ethnic identity. Through this project I hope to better understand what it means to be local Hawaiian in 2017. I am interested in learning how local Hawaiians perform their local Hawaiian identities, and I plan to investigate how these performances of local Hawaiian identity counter, challenge, and disrupt the destination image of Hawaiian native culture. Research Question: How is local Hawaiian identity performed through counter-stories? What do local Hawaiians consider to be characteristics of local Hawaiian identity? What (mis)representation of local Hawaiian identity is being countered? How do local Hawaiians use different forms of representation to perform their counter-stories? Proposal funded! "Comedic Counterstories: Performing Marginality" has been funded by the University of Michigan School of Education. 1. What are some defining characteristics of a stand-up comedy set? 2. How do stand up comedians use performance to empower themselves and others? In the first question I hope to learn more about the disciplinary practices of performance in general, and stand-up comedy in particular. Beyond identifying regularities within the performance community and the genre of stand-up comedy, I would like to explore how comedians of marginalized identities use performance as a subversive space. This second question is intimately entwined with the goals of diversity, inclusion, justice, and equity. 3. How does creating a comedic counterstory help teens explore and express their marginalized identities and experiences? Eventually, I would like to develop a program curriculum which works with teens to write and perform their own comedic counterstories in the form of stand-up comedy sets. Keeping this larger question in mind as I pursue the questions for my summer project will help to guide my work this summer. Proposal accepted! I will be presenting with Tyler Nichols (MFA University of Hawaii at Manoa) at the 2017 Association for Asian Performance Conference in Las Vegas, NV! The conference will be at the Planet Hollywood Resort & Casino August 2-3. Tyler Nichols and I will be part of a panel on Critical Practices & Pedagogies presenting our paper "‘Love in Contention’: An Exploration of 3:10 to Yuma, a Cowboy Western Performed in Kabuki Style." "Love in Contention": An Exploration of 3:10 to Yuma, a Cowboy Western Performed in Kabuki Style: This presentation explores the effectiveness and appropriateness of kabuki performance to re-tell a distinctly cowboy western story. We begin by examining the intertwining history of samurai epics and cowboy westerns as presented in film for the purpose of exploring how similar settings, characterizations, relationships, story arcs, and themes can be represented on the stage in a fusion piece. This presentation includes the working script of “Love in Contention,” an adaptation of Elmore Leonard’s 3:10 to Yuma in kabuki style. We both suggest and question the need for fusion performances. We challenge ourselves to consider how fusion can maintain respect for the kabuki tradition while providing access to the kabuki tradition for performers immersed in solely Western traditions in American theatre. We consider the potential of fusion pieces to privilege global performance traditions by exploring one cowboy western as a samurai epic. This presentation proposes performance as a space of empowerment for an increasingly diverse nation and addresses concerns related to appropriation for the sake of aesthetic. I have been invited to participate on a panel for Asian/ Pacific Islander American (A/PIA) Heritage Month at the University of Michigan. The panel will be moderated by Paulina Fraser and features scholars Dr. Amy Stillman and Dr. Bernard Ellorin and graduate students Monique Ellis, Laura-Ann Jacobs, Sarah Trinh, and Carmen Ye. A/PIAs in Academia: Addressing Issues of Representation, Accessibility, and Visibility in Higher Education. This past weekend I performed a personal story and a song at the School of Education's (Still) Outspoken Event. Thank you to everyone who offered support, encouragement, and validation for my experience and my story. Outspoken is an exciting event held each year that showcases the perspectives and talents of SOE’s diverse community. It occurs during SOE’s Campus Visit Day in March. The event is sponsored by SOE’s student organization Becoming Educators of Tomorrow (BET). Outspoken originated four years ago when former BET co-chairs Alaina Neal and Natalie Davis were concerned that the typical panel discussion about diversity was not enough to capture the fullness of what it meant to be a part of the SOE community. They hoped a showcase event would help move SOE community members from talking about diversity to “doing diversity.” Outspoken is now a much anticipated and enjoyed event that helps build community and enrich dije-related awareness. During Outspoken, students, staff, faculty members, and audience members convey their talents, critical reflections, and social commentary through performing short skits, singing, poetry, spoken word, storytelling, etc. Naomi Wilson, who co-organized the 2017 (Still)Outspoken showcase with fellow doctoral student Paulina Fraser, reflected on the event. She explained, “It allows space to speak your truth on whatever you feel, openly, about diversity, gender, sexuality, anything. It is meant to make you feel comfortable and confident.” Additionally, Outspoken provides a meaningful opportunity for SOE community members to gather in both an academic and social environment and see themselves reflected. Wilson elucidated that by saying, “This one event is a catalyst to make people feel comfortable and connect professors, advisors, and students as they speak their truth. It creates a network and community.” Indeed, Outspoken is a phenomenal event and we would like to recognize the 2017 performers, including students Kimberly Ransom, Asya Harrison, Christina Morton, Channing Matthews, Anna Shapiro, Jennifer Pollard, Charles Wilkes, Gabriel DellaVecchia, Paulina Fraser, Naomi Wilson and Nicolas Boileau; faculty members Pat King, Pat Herbst, Vilma Mesa, and Debi Khasnabis; and staff member Simona Goldin. Click here to read the SOE dije publication Expansions. Congratulations on a successful performance of The Frozen King! This murder mystery was a collaborative creation with Tyler Nichols (MFA, University of Hawaii at Manoa). The first ever production of this murder mystery took place on January 14 in Ann Arbor, MI. Special thanks to assistant director Darrell Allen (PhD student, University of Michigan). McWhiteney Park. What started as a traditional theme park honoring his cartoon creations became more elaborate and more imaginative each year. The park has expanded to include parades and live performances, an exotic animal zoo, a sealife park, a casino, and even a gym. Mr. McWhiteney. Mr. McWhiteney was one of history’s greatest thinkers. He was a man who valued imagination beyond any other quality. He dedicated his entire life to honoring imagination. So it seems only appropriate that he would dedicate his death to imagination as well. The beloved creator announced his plans to prematurely end his life at the beginning of this week. He explained that advancements in technology and engineering had made a plan from his imagination possible. Mr. McWhiteney plans to preserve his brain in a unique cryogenic head freezing device created on site at McWhiteney Park. His preserved head deep in the underbelly of the park symbolizes how the entire place is rooted in his imagination. The Reception. Please see the attached note. You have been invited to attend the unveiling of Mr. McWhiteney’s cryogenic head freezing device. The guest list is short--Mr. McWhiteney left instructions that only “the best from each department” was to be invited. You understand that the reception will include a reading of Mr. McWhiteney’s will. You hope that learning about inheritance won’t make a celebratory gathering turn sour.